It can be difficult to run an effective virtualized environment. 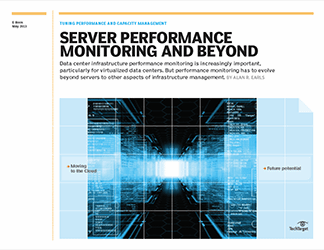 Keeping it optimized and making good use of performance data are ongoing concerns for busy virtualization admins. 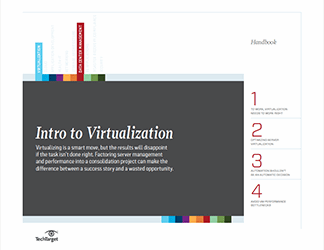 This e-book series looks at best practices for getting the most out of a virtualization investment, with specific guidance offered on: capacity planning and virtual machine sizing; solving disk I/O and bottleneck troubles; and efficiently benchmarking and tracking performance. A disk I/O bottleneck, resource contention, misconfigurations and other problems will degrade the performance of virtual machines. When too many VMs are competing for limited resources, results will inevitably suffer. 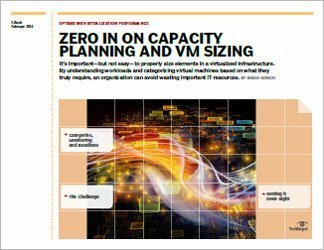 This chapter looks at tactics that can help to combat these types of bottlenecks, particularly those stemming from the storage components of a virtualized environment. The effort it takes to solve storage I/O bottlenecks is considerable. Variables range from physical infrastructure choices to configuration changes. The starting point for solving your I/O problems will be VM monitoring and establishing baseline performance. From there, you can scrutinize read IOPS vs. write IOPS, network cards, and other specific points that are likely contributing to the I/O bottlenecks. With the right approach, a willingness to become a virtual machine monitor and the use of proper technologies, admins can solve the problems causing an infrastructure's performance to suffer. Once a virtualized environment is running at an efficient level, IT admins will want to keep it that way. Doing so entails benchmarking performance and watching for changes that, if left unchecked, could develop into problems. CPU benchmark tools are easily available for server benchmarking to help you stay ahead of potential disasters, and the upfront cost is often worth the expense compared to the time, effort and money needed if you aren’t prepared when an outage occurs. Virtualization administrators see the value in documenting VM and application dependencies not only for maintaining performance but also for when trying to get an environment back on track should something go wrong. There are documentation tools that graph strategic information with your servers, such as when spikes in usage typically occur. Some potential documentation tools include Docusnap, IT Glue, and RVtools, all of which can also help with compliancy.